By Melissa 2 Comments - The content of this website often contains affiliate links and I may be compensated if you buy through those links (at no cost to you!). Learn more about how we make money. Last edited January 28, 2013 . While personal finance bloggers and financial experts often urge Americans to adjust their taxable rate so that they don't receive a big refund, many don't heed this advice because they see their tax refund as a forced savings account. According to Bankrate, at least 54% of Americans get a tax refund. Those tax refunds aren't insubstantial. 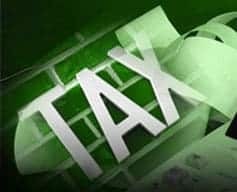 CNNMoney reports that in the 2011 tax season, the IRS “delivered a total of 109.3 million refunds during the year, adding up to a total of $318.5 billion.” The average tax return was $2,913. Despite the enticement of a nice tax refund, many procrastinate when filing their taxes. CBS News reports that “25 percent of Americans wait till the last week, if not the last minute” to file their taxes. This procrastination combined with large tax returns is one reason why criminals have found an easy way to get to your money – via tax return scams. Unfortunately, our social security numbers are not as secure as we would like. Data breaches and black market lists can put your social security number into the hands of criminals who then file taxes pretending that they are you. This is an easy crime to perpetrate because there is no real risk to the criminal. Unlike a home invasion, drug deal or store robbery where they may be risking their own lives, filing a tax return electronically can be done from the comfort of their home with no risk to their personal safety. “‘We see a lot of gang members who are now involved in tax refund identity schemes because it's easy. It's easy to do. It's less violent and it's very lucrative' said Wifredo Ferrer, a federal prosecutor in Florida” (CBS News). Unfortunately, this crime is even easier to commit because if criminals file a return using your social security number, they can have payment within 10 days directly to a third party debit card, which is harder to trace. Meanwhile you may not even file your tax returns for two more months. Donna and Jim Ray received devastating news that their 23 year old son was killed in Afghanistan. Later, “there was another shock to come. Before the Rays could file his taxes, someone else had already done it, and collected $1,400 on a refund that should have gone to Adam's parents” (CBS News). The victims of this type of identity theft are both living and deceased, and the number of victims is growing. “Last year, the IRS identified at least 582,000 taxpayers who were the victims of identity theft, which is more than double the amount from only three years prior” (CNN). The best way to combat the chance of being a fraud victim? File your tax return early and get your money before the criminal can. For 2012 tax returns, the earliest you can submit is January 30, 2013. Criminals have come up with plenty of scams to access your tax return money. The key to avoid being scammed is to know the latest strategies criminals are using, to keep your social security number private, and to file your tax return as soon as possible. Have you ever been a victim of a tax scam or do you know someone who was? Last Edited: 28th January 2013 The content of biblemoneymatters.com is for general information purposes only and does not constitute professional advice. Visitors to biblemoneymatters.com should not act upon the content or information without first seeking appropriate professional advice. In accordance with the latest FTC guidelines, we declare that we have a financial relationship with every company mentioned on this site. The sooner you file your taxes, the sooner you receive a refund. You can avoid those fines and interest that comes with late payments. Then you can use it to purchase something you really want or pay your bills. When you already have filed your taxes, you get the peace of mind, not having to worry about meeting the deadline or any of these scary tax scams. Great advice! It’s always better to file your taxes sooner rather than later. We should all do this as soon as possible to avoid the stress of doing it too late.